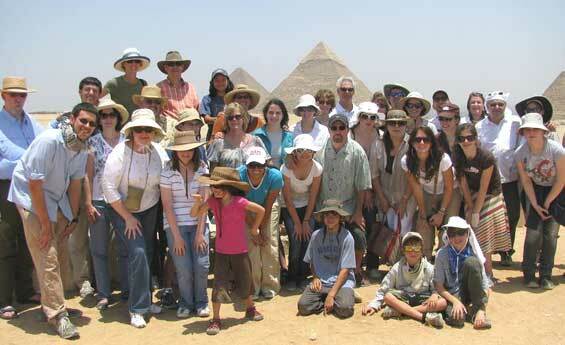 Breakfast at hotel, enjoy an excursion to visit the Great Pyramids of Cheops, Chephren, and Mykerinus, then transfer to the panorama area, take memorable Photos for the Three Pyramids Together, proceed to visit the Sphinx, Next tour to the Egyptian Museum, including Tut AnkhAmun Treasures, optional to visit the Mummy room with extra fees inside the Egyptian Museum, continue your tour to visit Old Coptic Cairo, visit the Hanging Church, Abu Serga Church, and Ben Ezra Synagogue, at the end of your tour transfer to Giza train station for departure to Luxor by night Sleeper train, Dinner & overnight in Sleeper train. Arrive Luxor train station, meet & assist, transfer to hotel, refresh, start your gorgeous excursion to visit Karnak Temple, it is one of the greatest and largest places built in the history for the Greco Roman kingdom, it has a great hall full of amazing Pillars, Enjoy lunch at local restaurant, then proceed to visit Valley of the Kings, including visit to Three Tombs only, Tombs were used for Kings burial, usually cut into the limestone, all following a similar pattern, three corridors, an antechamber and a sunken sarcophagus chamber, next tour to Hatshepsut Temple, it has special decoration as well as special design makes it one of the most distinctive temples in all Egypt, it was built by Senimut architect for the Queen Hatshepsut, and to be sanctuary for the God, Amon Ra, it was called before “Northern monastery”, but nowadays it is known as El-Deir El-Bahary Temple. Finally pay a visit to colossi of Memnon, at the end of your tour transfer back to your hotel in Luxor, overnight in Luxor. Breakfast at hotel, drive by air-conditioned vehicle to Aswan, arrive Aswan, enjoy an excursion to visit the High Dam, it was built on 1960, the building purpose of the high dam was to protect Egypt from the flood of the Nile River, and to provide electricity and irrigation to whole of Egypt, next tour to the unfinished Obelisk, it considered the largest piece of stone in the world, then move to Philae Temple ( Isis Temple ), it is dedicated to God Isis, Philae Temple is One of the main sites visited by almost every tour to Egypt, and before the high dam the water level was raised, and Philae Temple was flooded each year from December to about March, and visitors were using boats to visit Philae Temple during these months, at the end of your tour transfer back to your hotel in Aswan, overnight in Aswan. Breakfast at hotel, drive by air-conditioned modern van to the most magnificent monuments in the world “Abu Simbel Temple”, upon your arrival start your amazing tour to visit Ramsses II Temple, it was primarily dedicated to Re-Harakhte, then proceed to visit his wife Temple “ Nefertari Temple” dedicated to Hathor, both Temples were threatened by submersion in Lake Nasser, due to the construction of the High Dam, but the Egyptian Government secured the support of UNESCO, and agreed for the salvage operation which took approx. 4 years from 1964 till 1968, at the end of your tour transfer back to Aswan train station for departure back to Cairo by night sleeper train, dinner & overnight in sleeper train. 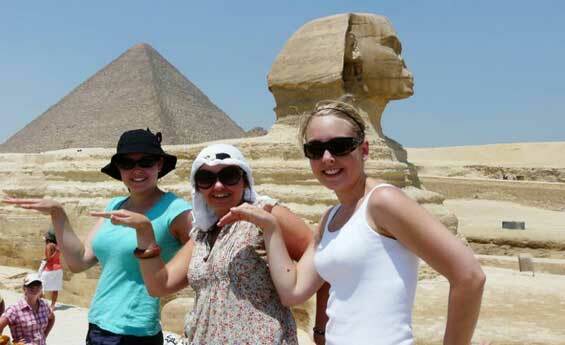 Arrive Giza train station, meet & assist, transfer to hotel, day at leisure in Cairo, or optional to visit Memphis City including visit to Ramses II Museum, Sakkara step Pyramid, or optional dinner Cruise at night with Belly Dancer, overnight in Cairo. Breakfast at hotel, drive by air-conditioned vehicle to Taba, arrive Taba, check into your hotel, Dinner & overnight in Taba. Wake up call, take breakfast Box From your hotel, then approx. at 05:45 am. Drive to Taba Marina, At 06:00 am gathering in Taba Port, then approx. at 06:30 am. 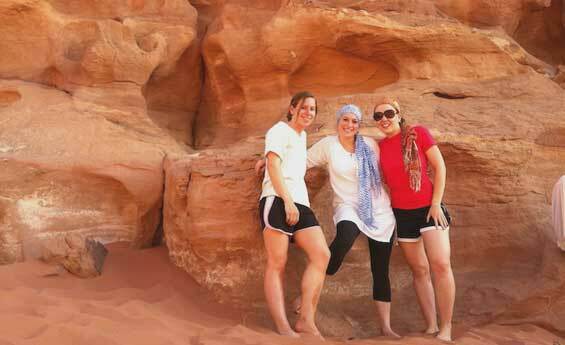 departure by ferry boat to Aqaba, Arrive Aqaba Port meet & assist by Shaspo Tours representative, who will help you to get your visa, retrieving your bags and going through customs, Leaving Aqaba Port and driving toward Wadi Rum, the wild desert landscape, which fascinated the British liaison officer Lawrence of Arabia. 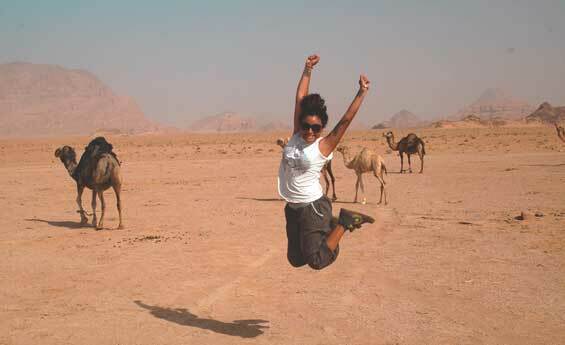 Describing Wadi Rum as "vast, echoing and god-like" we believe he could not have said it better. We will drive for Three hours in a 4-wheel drive jeep through the desert to see Lawrence’s spring, passing by majestic mountains and explore a gorge with some ancient rock drawings. You will have free time to hike on your own enjoying the silence and the awesome of this desert. 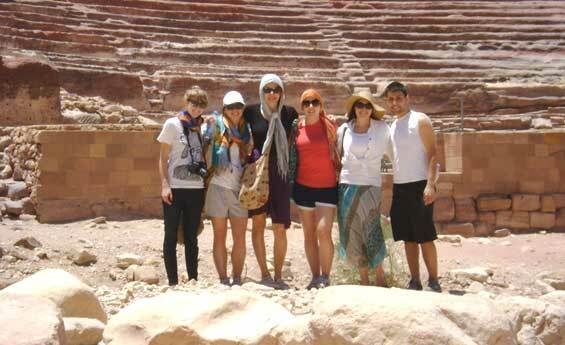 At the end of your tour drive to your hotel in Petra for check-in, overnight in Petra. Breakfast at the hotel, then start your wonderful tours to Petra the Red rose City, First it was established by Nabatean Arabs, then Petra became a trading center for the caravans during the Ptolemaic era in Egypt, Petra Hailed as one of the New 7 Wonders of the World, enjoy a magical experience to enter this hidden city through a long narrow Siq, take a deep breath from the natural beauty, explore the beautiful carved buildings made by Human hands, enjoy horseback riding to the entrance of the canyon, Camels are available for hire, once you are inside the city, Lunch meal included in Petra, then drive back to Aqaba port, take your ferry boat back to Taba Marine, meet & assist at Taba Marine, transfer to hotel, dinner & overnight in Taba. Breakfast at the hotel, then drive by air-conditioned vehicle back to Cairo, arrive Cairo, meet & assist, transfer to hotel, overnight in Cairo. Meet & assist upon arrival & departure by our Staff. A/C Brand-New hired vehicles with English speaking driver.